Last Sunday, November 22, I was at the 34th session of the Trinity Annual Conference or TRAC at Everly Resort Hotel in Melaka to promote the work of the association to the churches represented. 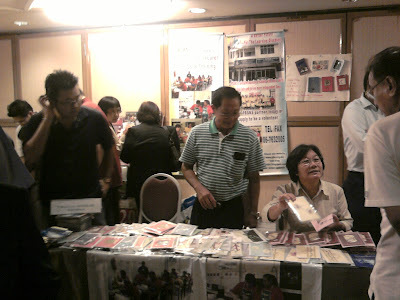 I distributed 200 sets of flyers and notes to the delegates and observers while David and Dorothy set up stall outside the conference hall to sell handmade cards and bookmarks. The promotion is timely as we are preparing to launch a bigger fund raising to finance our building purchase as well as a larger operating budget. We are planning to organize a fund raising dinner next year. Assistance in all forms will be appreciated. "I had a slight disability, but rather than let that rule my life I had to find my abilities and make the most of them instead," she said. "This feels like a good way of making up for that – a very, very enjoyable way of making up for it as well." Susan also said she was tormented by classmates and beaten by teachers because of her learning disabilities. "I'm just a wee bit slower at picking things up than other people," she said. "So you get left behind in a system that just wants to rush on, you know? That was what I felt was happening to me." "There was discipline for the sake of discipline back then," Boyle continued. "But it's all very different now. I think teachers are taught to understand children with learning disabilities a lot better." 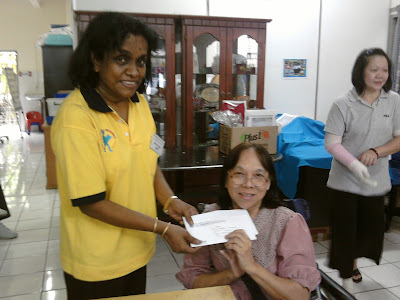 I just hope that Malaysians will stand up for people in our midst like Susan and help find the hidden talents in them. If you like to listen to the extraordinary rendition of 'I Dreamed a Dream' by Susan please click the link below. 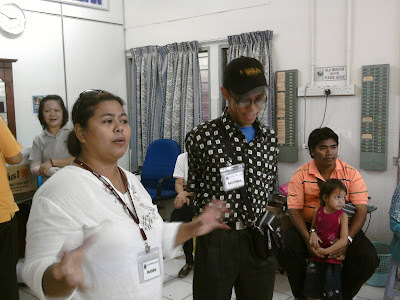 A team of 22 staff and members (trainees) from the Stepping Stone Support Centre for Community Living of ACS in Penang visited us yesterday. 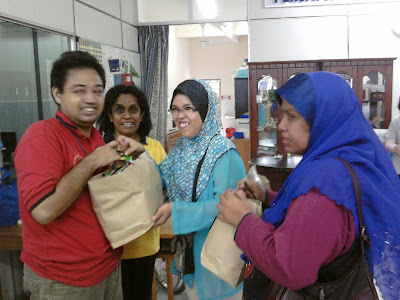 In the morning they were taken to the ostrich farm in Seremban where they enjoyed riding the birds. Trainees from our centre went along too. 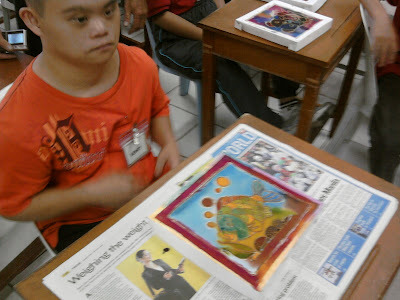 We hosted lunch for everybody at the centre after the farm visit followed by a batik art teaching session by Jeffrey Suah of Noble Creations in Seremban for all the trainees while the staff were given a presentation of our work. ACS also trains learning disabled people like we do but on a different model. Presently they produce art design, batik work and other products for sale and their members are paid salaries. Some of their works are exported. To learn more of their work you can surf to their website.